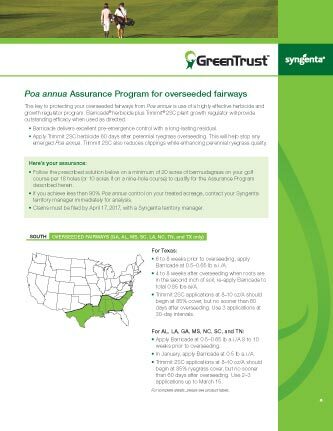 View the Labels/SDS information for Trimmit 2SC Plant Growth Regulator. The active ingredient in Trimmit® 2SC, Paclobutrazol, suppresses Poa annua and is a proven plant growth regulator for managing top growth of turfgrasses. 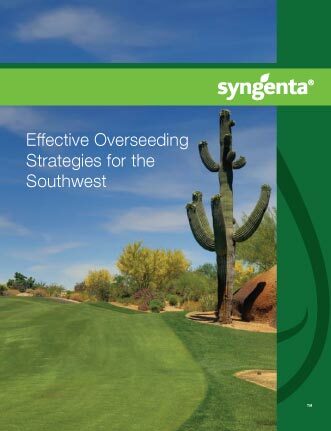 Use it on established hybrid bermudagrass, bentgrass, bluegrass and perennial ryegrass fairways, tees, and roughs. For growth suppression on established bermudagrass and St. Augustine, it can be used when the grass is green, actively growing and has recovered from dormancy. 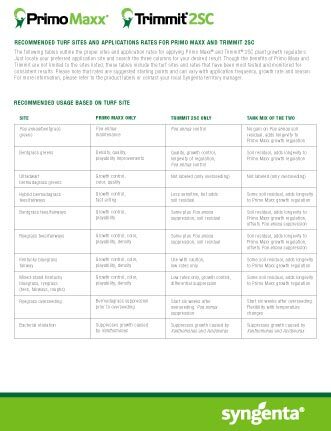 Recommended turf sites and application rates for Primo Maxx and Trimmit. 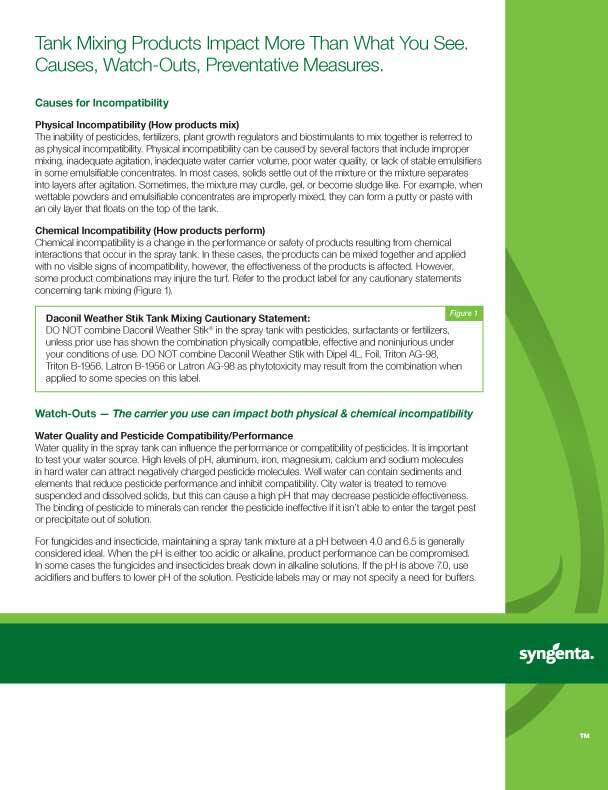 Learn more about Syngenta PGRs Primo Maxx and Trimmit. 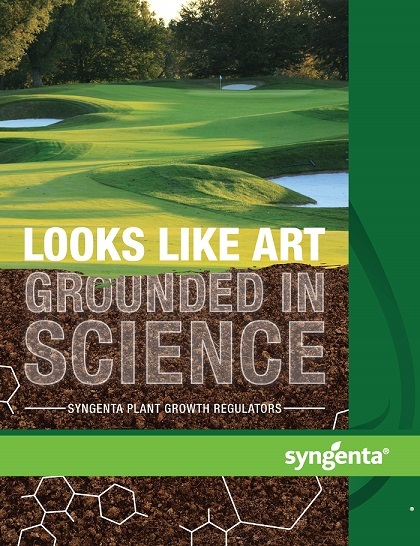 Trimmit®, Greencast® is a trademark of a Syngenta Group Company.